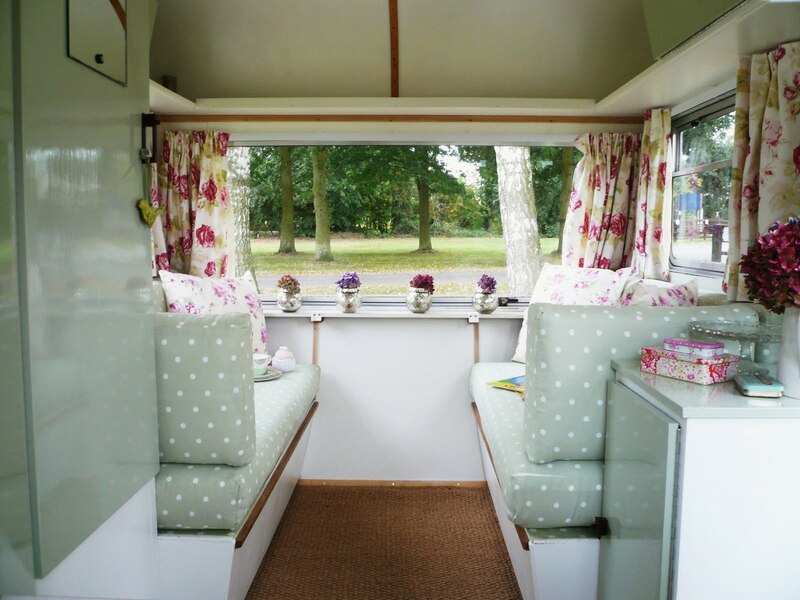 I have a slight big obsession with refurbished vintage caravans, I know I'm not alone in this either. There should be a group meeting where we get together once a week and 'ooh' and 'ahh' at all the prettiness, then go back home feeling all empty and depressed... Maybe not. They kind of remind me of doll houses. I never had a doll's house when I was little, I used to get jealous of little girls that did, I still do actually.. Shush! But I really don't think I'm the only one who always wished to be able to live in a doll's house. I live in a house with three boys, so I can only really have one girly room and that is my kitchen. I have pastel colours in there, teapots, cake stands everywhere. I love it. 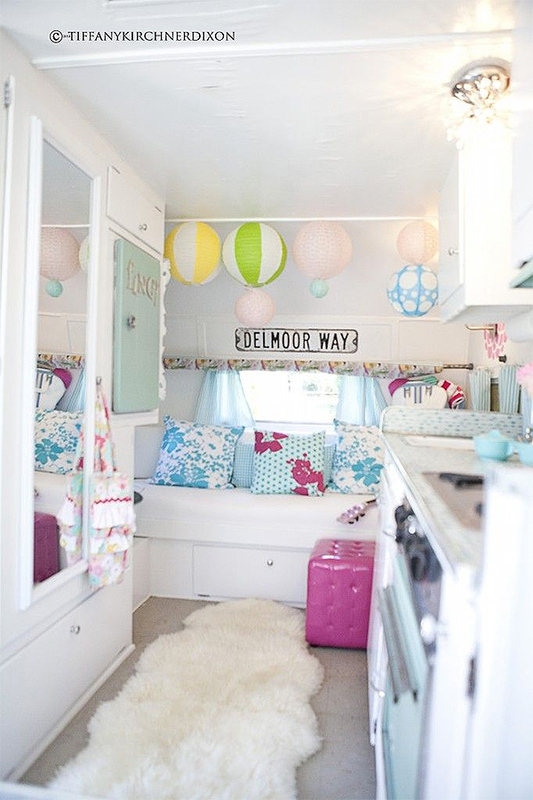 To be able to have a space that is just full of loveliness, and be able to travel in it too, aah! Warms my cockles just thinking about it. I thought I'd share a few images of these beautiful beauties. One day I WILL have my own.